All funds raised will go directly to AIRWAVE TAKE OVER OUTREACH INTERNATIONAL MINISTRIES INC .
Our mission at The A.T.O. is to stop suicides by starting the conversation about suicide prevention and suicide awareness in local communities and to provide communities with information that will aid in assisting individuals in their communities who may be affected by this epidemic. Learn more at www.theato.org or www.airwavetakeover.com. Our Commitment to our partners is to: (1) identify regions with high suicide rates; (2) connect mental health professionals, youth workers, and community leaders together to generate solutions; and (3) market hope and a purpose filled life to those in despair in affected areas and on social media. We will do this through networking events called "community connections" and through teen and young adult conferences to raise awareness. 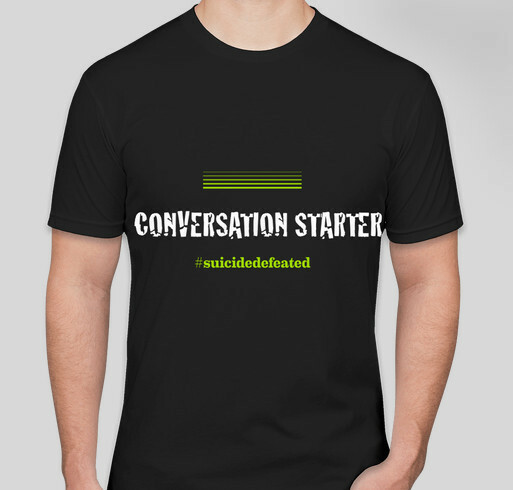 Share Why You Support "#suicidedefeated"